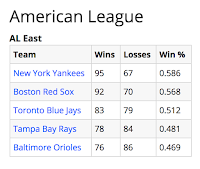 A projection system that is a composite model of Baseball Prospectus, Davenport and FanGraphs (by RotoChamp) places the Red Sox finishing 2019 in second place in the American League East. The projection puts Boston's wins at 92—behind the 95 wins projected for the "first-place" Bronx Embalmers. 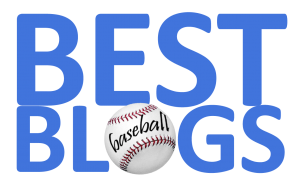 Of course, these projections are being made at this stage of the postseason—before several substantive moves still need to be made by most MLB teams. For example, the current projection does not factor in Nathan Eovaldi being in the Boston rotation or bullpen—eventualities that could certainly still happen. We suppose that the Yankee projection includes their recent acquisition of starting pitcher James Paxton from the Seattle Mariners, but, frankly, that's unclear. 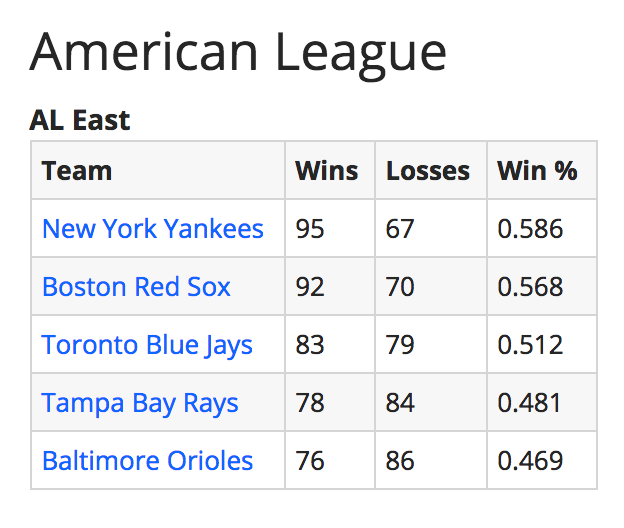 Nevertheless, the projection of the Red Sox getting 16 fewer wins than they got last year points up the absurdity of most of these cold, statistical models.